What makes a person Sri Lankan? To understand it is important to consider the impact colonialism had on our cultural notions of Lankanness. Even though this question underpins many of the political debate post-independent Sri Lanka has been grappling with, Natalie Soysa highlights how the question impacts people on an individual level – specifically to a small group of Ceylonese who were shepherded to Europe as exhibits during the era of the human zoo. Sit down, you’re a Burgher. Roll call in school was a nightmare in the 80’s for a fair girl with a Sinhalese surname. Each morning, the Sinhalese girls were asked to stand or raise their hands first to be counted, followed by the Tamils, the Muslims and finally the Burghers. But I wasn’t burgher. Being born and raised in Sri Lanka meant I was well acquainted with the concept of the other before I needed to. But this overwhelming need to separate ourselves from those who look different isn’t a new concept, nor is it exclusive to the Sri Lankan psyche. I would ፰nd reminders of this otherness recurring throughout my life, lurking in the most unlikely places – like the . The Dehiwala Zoo was originally the property of and not always state-owned as we assume. The property functioned as holding quarters for live exhibitions collected from around the region, waiting to be sold to performances in Europe and North America. The offcial, state confirms this, telling us that John was also the brother of the world’s most famous animal trainer . What the website omits is that the Hagenbeck name is synonymous with Human Zoos and Ceylon played a pivotal role in this colonial freak show. could find resonance in today’s world as we still grapple with notions of identity and belonging. The late 1800s brought with it an age of wonder and discovery. The industrial revolution was in full steam, exotic lands were being discovered while the intellectual and religious leadership grappled with the implications of Charles Darwin’s seminal Origin of Species’. One side-effect of publishing Origin was the birth of the Eugenics Movement, spurred on by a cousin of Darwin himself. Eugenics was based on the idea of a superior race, applying evolution theory on a racial and social level, justifying the notion that Caucasians were more progressive and visually pleasing. The darker you were, the lower your position on the evolutionary ladder. The science behind eugenics helped shape the colonial narrative: the white race was intellectually, culturally and aesthetically superior and it was necessary to subjugate the savage. Science was also to become the linchpin for the earliest forms of showbiz. Names like Ringling Brothers, P.T. Barnum and Hagenbeck were becoming synonymous with live entertainment that helped solidify, intentionally or otherwise, Eugenic concepts. These early forms of entertainment known as or ‘human zoos’ soon took figh as Africans, Asians and other exotic slaves were put on display. Behind fences and inside constructed villages, these live exhibits seemed to go down well with thrillseeking masses. Performers were dressed in costume and asked to ‘act’ the part of a savage or barbarian to conrm their inferior status to the public. People thronged to these exhibits. The age of the was born. Of the Hagenbeck brothers (John, Carl and a third brother Gustav) in the business, Carl received the highest praise for having revolutionised the architecture of the modern zoo, allowing animals and humans to be housed in natural-looking environments instead of sterile cages. John and Gustav followed in Carl’s footsteps. Today these exhibitions are labelled dehumanising avenues created to exploit non-Caucasian races. Some argue that human zoos were a necessary evil, providing economic benefts to the less privileged while affording white races an opportunity to be educated – not entirely different to a troupe of Kandyan drummers performing around the world today. given bigger opportunities and offered schooling for their growing number of children. In many cases, those who boarded ships and left their loved ones behind were poor folk; daredevils and performers looking for adventure. The need to push an agenda of eugenic superiority however, seemed very much intact – though much subtler than its human zoo avatar: a Ceylonese elephant trainer would still be made to perform as a savage or demon dancer, depending on the need of the show. the land. Others opted to remain in Europe, never seeing Ceylon again. That is how Ganesha Vidane comes into the story. GANESHA VIDANE IS THE GRAND DAUGHTER OF ONE EPI VIDANE WHO TRAVELLED TO GERMANY WITH JOHN HAGENBECK, PERFORMING IN THE LATTER’S VÖLKER-SCHAU IN 1906. EPI TRAVELLED WITH HIS TROUPE OF ELEPHANTS AND WENT ON TO BECOME ONE OF THE WORLD’S MOST FAMED ELEPHANT TRAINERS. 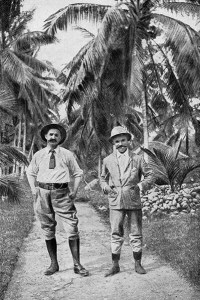 HIS SONS, HARRO AND BANDA, WERE BORN IN GERMANY, BECOMING RENOWNED PERFORMERS AND ELEPHANT HANDLERS. BANDA’S DAUGHTER GANESHA WAS ALSO BORN AND BROUGHT UP IN A CIRCUS. I SPOKE WITH GANESHA TO TRY AND GET AN IDEA OF HER FAMILY STORY AND HOW HER FAMILY’S HISTORY HAS HELPED SHAPE HER SENSE OF IDENTITY. WHAT WAS IT LIKE TO BE IN A HAGENBECK EXPOSITION? All artists here were from South India and Sri Lanka. They acted “native” and had to perform everyday chores like making fire, weaving clothes, tribal dancing and so on. They were paid and lived in brick quarters with shared toilets. performances they had to behave “wild”. That’s what they got paid for after all. Even my grandad had to act like a for certain shows even though he was not one. Basically, it was a show to fool the white men into believing that wild tribes lived a certain way. The families had their own quarters and their children schooled in English, but single males were put together in groups of 5-6 to share a room. Epi’s life improved in comparison to what he left behind in Sri Lanka. He was taken care of when sick and even the hospital bills were paid. conditions and not outside conditions that made them fall ill or have an accident while performing. But everyone knew what they were getting themselves into and were risk seekers. 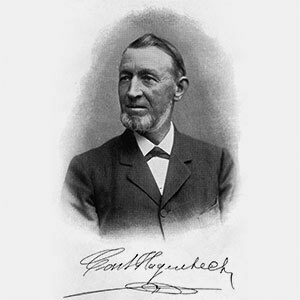 John Hagenbeck was the maker, the doer. Carl was a businessman; money came rst. But apparently, they held a good balance. John felt more Sri Lankan than German – they used to say he has Asian fever. My grandad Epi knew and worked with John and never described him as a bad person. Maybe a bit mad, but certainly not bad. He was totally in love with Sri Lanka and Asia in general. Epi only met Carl once or twice. John has fallen out with Carl and was working on his own by this time. Carl was older, from a different mother and a businessman as opposed to John who was a dreamer with big ideas. Epi never met Gustav. Epi was with them for over ten years, until he was sent to America in 1930 where there was much racism and it felt like apartheid. 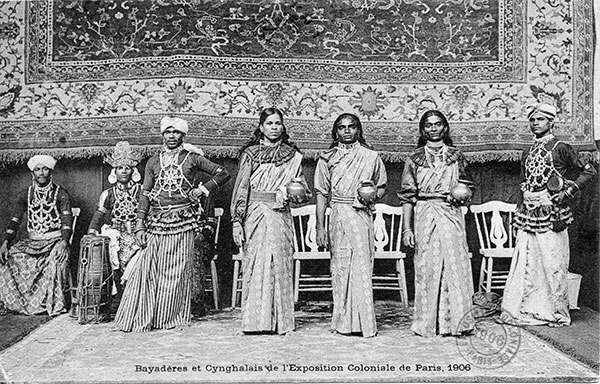 WHEN CEYLONESE WERE TAKEN TO EUROPE, DID THEY MERELY PERFORM OR WERE THEY ALSO ON DISPLAY IN HUMAN ZOOS? Yes, it was a display of different ethical groups; open-air elds, where huts were built as per the origin of each group, Inuit, Indians, Africans, Asians etc. It was usually made to be a little village and the people had to act normal, as if they were at home just living in this village. But of course, it was not normal. The surroundings were always fake and the things they were doing had nothing to do with their real lives. DO YOU RESPOND TO THIS? As I stated before, the people had normal lives outside the show, and only had to act wild when the zoos were open. Maybe Epi got there quite late, when things have improved already. It is possible that it was worse before during 1890-1900, but we wouldn’t know. The performers signed a contract and had to stay for at least one season (otherwise transporting them back and forth would have been too expensive). They got paid but for sure not enough to pay their own travel back in those days, let alone know how to communicate and purchase a ticket from the cashier. The kids were schooled and the adults could have participated too, but preferred to drink – very Sri Lankan. HAGENBECK TROUPE. WERE THEY REAL MONKS OR PEOPLE ASKED TO ‘PERFORM’, LIKE YOUR FAMILY PLAYING DIFFERENT ROLES FOR DIFFERENT SHOWS? performers in costumes. I doubt they were real monks. WE SEE PICTURES OF CHILDREN IN HAGENBECK’S COLLECTIONS. WERE THEY ACCOMPANIED BY THEIR PARENTS OR TAKEN FROM THEM? Yes, kids came with their parents which is how they were casted. They would need 5 fire jugglers, 3 elephant guys, 10 to climb poles, a snake charmer, 3-4 families with small children and so on. Whoever wanted to go abroad had fit into one of the categories needed. HAVING SRI LANKAN LINEAGE AND BEING BORN GERMAN, HOW DO YOU IDENTIFY TODAY? Growing up in a circus, my identity wasn’t determined by a nationality. I grew up as a circus child, that alone was a title. We all came from another country, so we were all foreigners or not. I only developed a sense of nationality when I started school in Germany. I had a German passport, went to a German school and spoke German. But my looks made people wonder how that was possible. I started questioning my own identity. Was I German? And if not, what was I? I asked my family why we were different coloured and the answer was: your grandad was from Sri Lanka. But Sri Lanka had no meaning to me. the questions but nevertheless had to come up with something that would shut people up. So, I told them of Sri Lanka, this island far, far away with stories of fantastic landscapes and wild animals. As a prepubescent teenager, I wanted to investigate if Sri Lanka could give me answers to questions I had about life, love, meaning and so on. I searched for books, films, stories and anything I could get from my family. The more I learned, the more I wanted to go there. But my father had never been to Sri Lanka and the civil war was happening so we stayed put and remained Sri Lankans only by hearsay. I started to look Sri Lankans here but those in Europe said they were Indian or African. 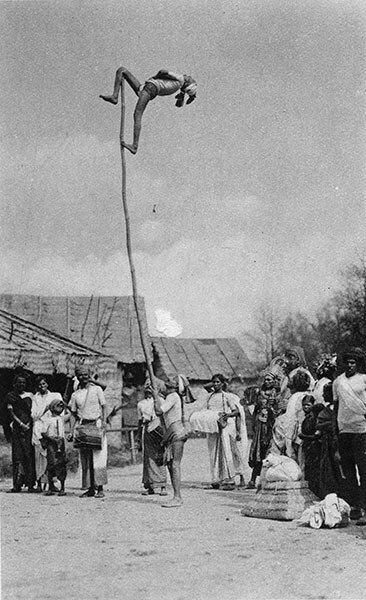 They denied their nationality because it was dififcult to be Tamil or Sinhala during a war carried out in both names. When I moved to London at 21, it all changed. There were so many Sri Lankans. I hung out with all of them and learned everything I could about the island. By the time my son was born when I was 25, I had still not been to Sri Lanka because the war was still scaring me. All the Sri Lankans I has met reassured me that I was 100% Sri Lankan. I looked it, lived it and even smelt like it. But still, I was without any knowledge of the beauty, lushness, diversity and madness of my people until I met this lady Jenny at a party and we began to talk. In Germany, it takes 3 questions before the question: where are you from. It was no different with Jenny. My answer as always was Sri Lanka, but her reaction was something I’d never expected. She was elated and I was being hugged before I knew it. She’d grown up in Dubai and spent a lot of time with Sri Lankans there and felt a connection to the island. The next question she asked me was: do you want to fly with me to Sri Lanka next month? I did. And instantly, I was hooked on the noise, the smell, EVERYTHING. I’ve since returned twice without her. With each visit to the island, my heart was more at ease. I am finally in a place where I loved everything. Even with the war going on, I was home. For the first time, I didn’t have to explain where I was from because to most it was clear; she is Sri Lankan. She only lives in another part of the world. Being able to come to Sri Lanka has made all the difference between being a German (which I was only on paper) or a Sri Lankan. total acceptance from everyone. But then again, it’s easy to feel Sri Lankan, to bond to a place that is more than paradise to you. It’s so easy identify but much harder to live up to. Natalie is a freelance photographer, writer and curator of the arts. After a decade of advertising work, she moved to the British Council Sri Lanka where she served as the Head of Arts for a period of 2 years. Her work spans the breadth of communications - from creative branding and journalism to conceptualisation of art installations and documentary filmmaking. Sri Lankan history didn't begin with the brutal European occupation,when Sri Lanka was enjoying great civilisation the Europeans were living in caves,at that time these Europeans could have been used as amusing exhibits in Sri Lankan ancient public displays.